Nord User Forum - View topic - Nord Piano Sounds - Forum Sharing? Nord Piano Sounds - Forum Sharing? Hey - Nord Piano 2 user. Why is there no Forum for us to Share our Piano patches - Such as the Nord Piano 2, 3 or 4? Last edited by Nordmutt2 on 05 Jan 2019, 22:35, edited 1 time in total. Re: Nord Piano Sounds - Forum Sharing? IF you click on that link - you will find Forum's for User's to share their "Programs" for the Stage, Electro and Lead. Why not for the Piano? Most of those will work with the "Sample/Synth" section of the Nord Piano. I think Nordmutt2 means exclusive section for piano 1,2,3,4...so i might have a royal grand program with me own settings tha will sound very deferent from the stock one. This is a completly new sound so i can share this "custom royal grand" . Am i right? thanks for the request! In fact I can very well understand it and we are considering this option. The reason there is not a sub-forum for each model's patches or programs is to avoid the forum to become to large to read. creating an appropriate topic title. I would suggest you to try it out. We can assure you if there are a significant number of such posts we can move them alltogether to a new subforum (we did the same way back when posts for the Electro became more frequent). Bottom line, I agree sharing programs can be useful so please go ahead in the Nord Piano forum, we will monitor the forum and in case create a new subforum. I'm a Nord newbie here. I just purchased the Nord Piano 4 and was wondering what format does the samples patches need to be in? Can I go to the Sounds/Patches page and download any of the samples and play them on my Piano 4. Your piano supports piano samples and (synth) samples. These are in two separate memory banks in the instrument and are downloaded from two different places on Nords page. Patches are just the settings you store and are called programs in Nord piano terminology. I don't think there are many of those on Nords page. 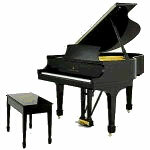 But there are many pianos in different sizes and types, and plenty of other instrument sounds also.